Fuerteventura is a pretty big island and most of us only see a fraction of it. We are fortunate enough to have such a huge backyard for our guests to go and train in whether it is riding your bicycle or running. But being busy with your training makes you kind of forget to observe the beauty of the surroundings. However, we are not all fortunate enough to have such good physical conditions that we can go and make some spectacular hikes and enjoy the nature. Fair enough, you can hire a car but that does not get you to places where nature is at its prime. That´s why we came up with the idea to do something different. We wanted to offer our guests to have some learning experience (sorry folks, we cannot seem to do anything without it being educational of some sort) out in nature without it being a requisite to be a top athlete. And there you have it! We now have our adventure driving experience. 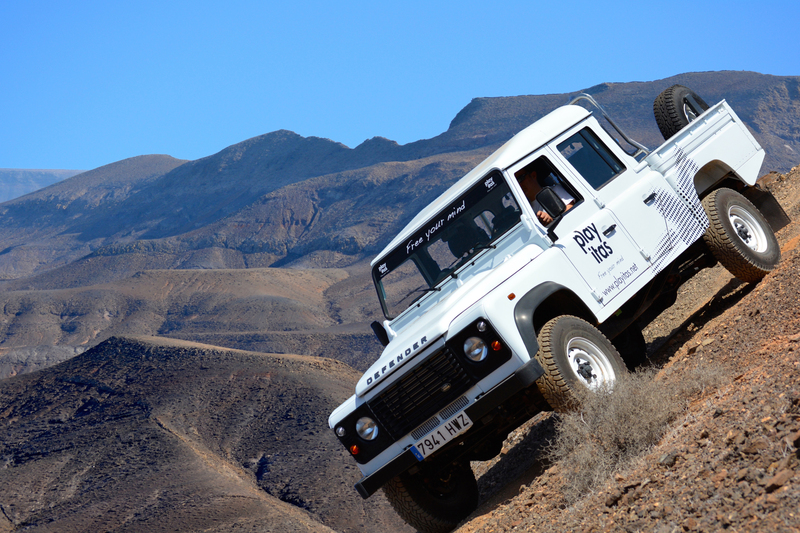 It is an activity which gives you the thrills of driving an off road vehicle in an off road environment (90% of off road vehicle owners have never driven their vehicles other than on tarmac) but being able to enjoy Fuerteventura nature and go places where you would probably not have gone before. It is the ideal activity you can do in group, family or just with a bunch of friends without worrying too much about anything, that is, you as a guest will have to drive the vehicle! We take the pleasure of sitting back and let you do all the hard work (just kidding about the hard work, not the sitting back). You just bring the good spirit and we will bring the rest.